Blog Crowdsourcing your organization strategy, what’s to appreciate? 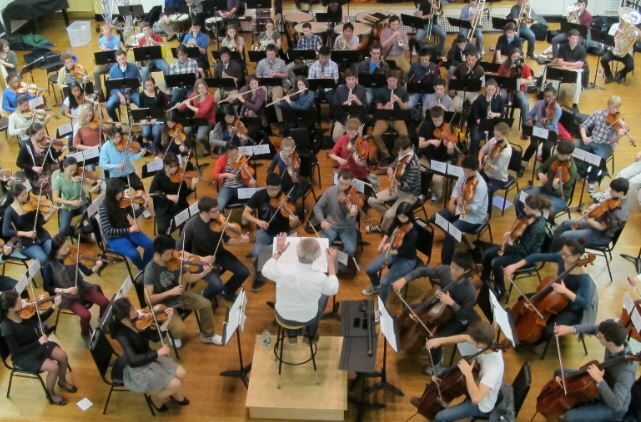 Every instrument has a role greater than just a part of the whole. Crowdsourcing relies on people to participate in a meaningful process as potential partners. 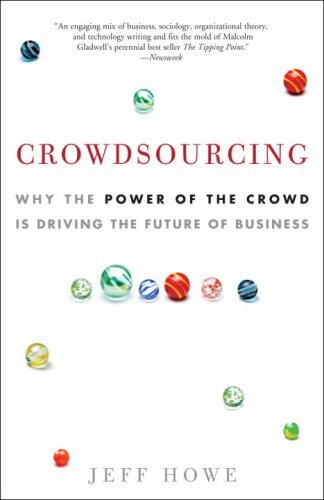 In crowdsourcing, people, who were formally known as the customer, now become the collaborator. This becomes a new way to appreciate, collaborative, organization strategy design. The power of collective collaboration can not only drive product innovation, but leveraged for decades to build organization strategy. Where most organization strategic plan process finds more in common with Moses’ descent from the mountain, crowdsourcing, itself, is an open call; and an open call to, an often-undefined group. The result: replace a strategic plan pronouncement with strategic plan involvement. Crowdsourcing for a solution is the antithesis of the bureaucratic, and often autocratic, strategic planning performed by chosen few, behind closed doors, and finally unleashed unto the masses. What once was a closely guarded-planning cabal and process, and a strategic plan statistically likely to fail, is now outsourced to a group of people. Crowdsourcing has a strong sociological theme and shares this vital link with a vibrant change approach known as Appreciative Inquiry (AI). AI taps into the impact of collaborative discovery, the wisdom of each as well as the collective wisdom of the crowdsourced insights. “The strength of a network … is exactly the diversity of intellectual background”. An AI process is where people participate and co-create a future they wish to be part of. Where people, formerly known as an audience of employees or stakeholders, now become the collaborators and designers who are approached as partners in modeling and forming organization strategy. AI is usually thought of as a collaborative approach for organization and community strategy and change. The AI model relies not on changing people, but, by using a behavioral approach to invite people to engage [that’s crowdsourcing] and to build organizations and communities that they, themselves, want to work and live in. As sociology is the study of the development, structure, and functioning of human society, both AI and crowdsourcing tap into the sociological power of people potentially unfamiliar with each other or with the situation. Crowdsourcing your organization strategy using AI principles moves the entire change management conversations from “buy-in” to “opt in”. There is no stronger way to create organization alignment and commitment than to invite people into a conversation. Encouraging a broad range of stakeholders, within and outside, to create a shared meaning of answers and responses. Sociological research to show things tend to flourish when there is a focus on ideals and achievements, peak experiences, and best practices. Organizations [opportunities] are manifestations of human imagination. If things are not envisioned, they can not, ultimately, exist. Being intentional with the data we focus is unusually effective in improving organizations and communities [opportunities]. 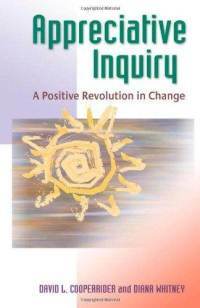 AI is based on the power of positive inquiry. But how can a simple question nudge a whole company in a productive new direction? … [t]he learnings that surface through the AI process begin to shift the collective image that people hold of the organization. In their daily encounters, members start to create compelling new visions of the company’s future together, grounded in their understanding of past successes. These visions initiate “ripples” in how employees think about the work they do, their relationships, their roles, and so on. Over time, these ripples turn into waves; the more positive the questions people ask, the more they incorporate the learnings they glean from those questions into daily behaviors and, ultimately, into the organization’s infrastructure. Is it dangerous to ask people you think may not know anything about what you are trying to do? The power of your crowdsourced need relies on the power of your question and the power of your social cache. Like a change management approach that first looks at organization change readiness to reinforce the best methods of prior change, as well as what to avoid, you can not expect a solid crowd response without a genuine, transparent effort to engage. The most efficient networks are those that link to the broadest range of information, knowledge, and experience. Where once a crowd was reliant on proximity to engage, technology now enables a crowd to form with little geo-proximity limitation. When not be bound by proximity, knowledge that was once a scarce commodity now becomes a powerful, abundant catalyst. To me, crowdsourcing is simply a technology-enabled AI approach: both views, crowdsourcing and AI, are two sides of the same coin, both represent the coin’s total value. From “buy-in” to “all in”. A note: here James Surowiecki’s outstanding book, The Wisdom of Crowds talks about independent variables statistically outperforming the individual, proclaimed expert. Mr. Surowiecki’s key point is the lack of information sharing among the crowd: independent voting or building, not collaboration. However, crowdsourcing talks is both about aggregate value of independent contribution as well as groups who share resources, knowledge, and progressively iterative initiatives as exemplar. Lots to appreciate. I am extra excited about the links and parallels you are offering here on the topic of crowdsourcing an organization’s strategy because the technology enables us to practice the principle of co-construction. Our realities are constructed in relationship with each other. How priceless it is to tap into others’ strengths and experiences (location and time independent) to construct together something that we have energy around and commitment to sustain. If we create it, we will support it, or, we’ll change it. That’s what works. Technology has enabled information, not necessarily communication. Without communication there is very little enabled collaboration. 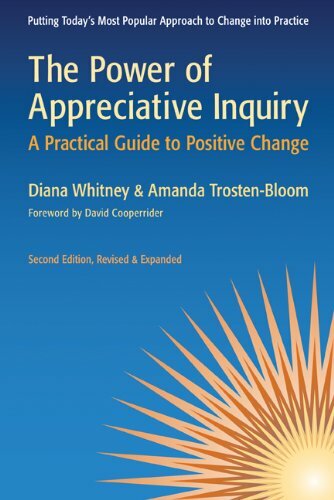 Appreciative Inquiry is technology agnostic. 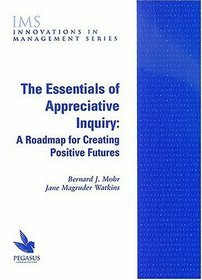 The DNA critical to Appreciative Inquiry is collaboration and sharing a platform that every stakeholder is heard and constructs a future, without pandering. I truly appreciate that you took the time to comment and very much value that your book has brought tangible opportunities to take people and organizations into a dialogue with workshops that show a business case, not just the offsite model so frequently used and so frequently leaving business leaders unimpressed.